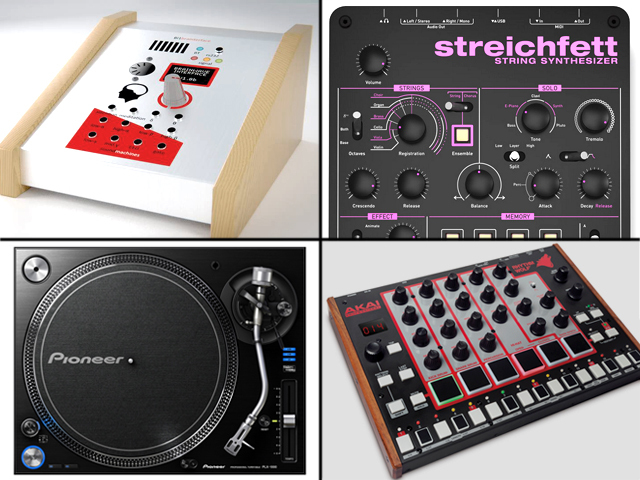 In this music tech news roundup we check out the announcement of the Pioneer PLX-1000, the first audio demo of the Akai Rhythm Wolf, a new Novation Launchpad app, the Waldorf Streichfett string synthesizer, and a device allowing you to control synthesizers with your mind. Originally touted as a “concept product” at Musikmesse 2014 (yeah, right), Pioneer confirmed the release of the PLX-1000 vinyl turntable. The new turntable seems primed to step into the hole in the market the Technics 1200 left behind when production ceased in 2010 and Pioneer has a consistent track record of maintaining an “industry standard” quality in their products. The PLX-1000 has features like detachable power and audio cables, vibration dampening material on the inside to minimize skipping, and a variable pitch adust which can be toggled between +/-8%, +/-16%, and +/-50%. The MSRP on the PLX-1000 is $699. Akai recently released a preliminary, unlisted YouTube video to their forum members demoing their upcoming $199 Rhythm Wolf analog drum machine / bass synthesizer. The workflow of the unit looks very intuitive and the addition of velocity-sensitive drum pads is a nice touch. The hi-hats sound pretty good in a TR-606/CR-78 kind of way. I could see this piece being useful as a sketchpad for getting down ideas and quick patterns on-the-fly or for textural analog sounds far back in the mix. Italian company Soundmachines has announced an very unique module available in Eurorack form or as a desktop module. 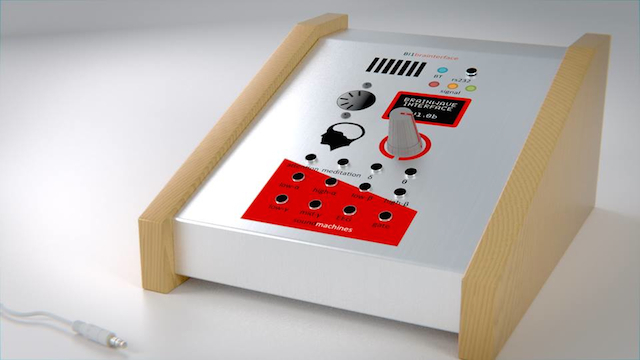 The BI1brainterface converts brainwaves to CV or MIDI control for musical instruments. The device uses the Neurosky MindWaveMobile headset to achieve this bizarre feat. Imagine the creative possibilities of this once it’s released out into the world. We’re certainly excited to see this technology develop and expect to see this technology at an art installation near you soon. New from Novation is a free download of their Launchpad app for iPhone and iPad. Using the app, you can remix the included loops using the 8×6 Launchpad grid. There are also a selection of effects built-in to the app. Judging from the promo video, the app is really easy to jump into and start playing around with and looks like a lot of fun. The Launchpad app is available for free download on iTunes. Announced at Musikmesse 2014, the Streichfett synthesizer from German manufacturer Waldorf turned a lot of heads. The Streichfett centers around a fully polyphonic string section and an 8 voice solo section with several presets for each. There’s a balance knob in the center of the piece that allows you to mix between the two sounds as you see fit. The device also features on-board effects including reverb, phaser and “animate,” and has a 4 bank memory to store patches. If the promo video is any indication, the Streichfett will have you sounding like your favorite late 70s film soundtrack in no time.